Fiona Hillary is a lecturer in the Master of Arts (Art in Public Space) at RMIT University. She has extensive experience in practice-led-research curating the Centre for Art, Society and Transformation’s Urban Laboratory since 2013. Her curatorial interests lie in iterative approaches to test-sites of public practice. Working with neon, social practice and in collaborative contexts Fiona has experience creating permanent and ephemeral works. a place for gathering is a permanent neon and sound work commissioned by the City of Greater Dandenong and located in Douglas Street, Noble Park. Her recent temporary works include; Are You Here (2016) a collaboration with Benjamin Cittadini commissioned by the City of Port Phillip; Crossings (2015) a collaboration with Benjamin Cittadini, Ceri Hann and Shanti Sumartojo commissioned by Performing Mobilities and the City of Moreland; and contain yourself (2015) a collaboration with Jordan Lacey, Eliot Palmer and Shanti Sumartojo made possible through the City of Maribyrnong. (Her artistic work is showcased on her website). 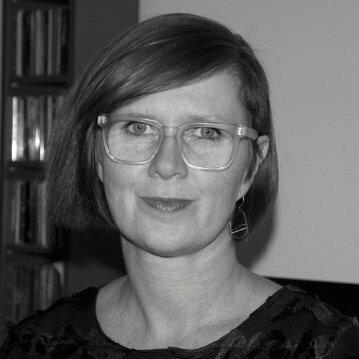 As a member of the Gertrude Street Projection Association Board, Fiona has been a part of a team growing the capacity of the festival. She also has extensive experience working in a range of arts roles in local government. ‘Empty-Nursery Blue: On Atmosphere, Meaning and Methodology in Melbourne Street Art’ Public Art Dialogue 4:2 (with Shanti Sumartojo, 2014). ‘Interrogating Space: the Urban Laboratory’ in Transformations: Art and the City (with Geoff Hogg, 2016).